CONNECTICUT LIGHT & Power has reimbursed a woman almost $10,500 after acknowledging it billed her for 25 years for the electricity used to power streetlights near her home. Grace Edwards tells the Hartford Courant she discovered the billing error after a prospective buyer for the house in Cheshire asked for a history of utility charges. The bills included line items for “9500 Lumen HP Sodium” and “6300 Lumen HP Sodium” — two sodium vapor streetlights. When she inquired about those charges, Connecticut Light & Power said a developer who previously owned the home had agreed to pay for the streetlights. The company removed the charges from her bill but initially refused to reimburse Edwards for past charges. She said they relented when the state’s Office of Consumer Counsel got involved. CL&P spokesman Mitch Gross said the company has acknowledged that the service was below the company’s standard and has apologised to her for the error and the inconvenience. “We have reimbursed her in the amount that she was incorrectly billed plus interest and will be using this case as a learning experience to identify process and customer service improvements to be sure this doesn’t happen again in the future,” Gross said. The company cut Edwards a check for $10,491.21, which is about $35 for each month she was overbilled. The company said the actual overcharges were about $5,800, which is about $19 a month. 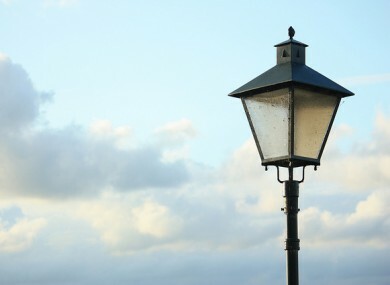 Email “$10k refunded to woman charged for 25 years of streetlighting”. Feedback on “$10k refunded to woman charged for 25 years of streetlighting”.